The Modeh Ani Lefanecha is the first “prayer” recited upon awakening. This version is sung in a Moroccan Melody and the two blessings that follow are also recited. My goal is to record the entire siddur or at least the majority of it for educational purposes using melodies that are Moroccan, Spanish-Portuguese, Turkish, or Syrian in origins as well as some that are a blend. The first sentence states, “I gratefully thank you for restoring my soul to me in kindness and compassion.” The siddur used is the Bircat Shelemo siddur which includes a Spanish translation and transliteration. 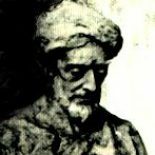 This entry was posted on March 29, 2019 by rambam442013 in Jewish Education, Sephardic Videos and tagged Jewish Liturgy, Modeh Ani, Sephardic Liturgy, Spanish and Portuguese Jews, Spanish-Moroccan Jews, Spanish-Portuguese Jewish Liturgy.